Choosing the right advertising network can make all the difference for you as an advertiser or a publisher. The amount of revenue you generate from the network depends on its quality and reach. AdSense had long been the market leader, but more and more advertisers and publishers now seek alternatives. There are AdSense alternatives that can increase revenues for both sides while ensuring high-quality. AdBuff is the perfect example of such an ad network that has set a benchmark in the industry. This AdBuff review explores the reasons why this ad network is highly sought after and what makes it different in the industry. Both advertisers and publishers get a real-time dashboard each. This provides you access to real time data about your campaigns or website’s performance, respectively. This will allow you to make changes and adjustments instantly to ensure higher ROI. There should be an effective delivery technology behind every ad network. AdBuff performs well on this front by having the most sophisticated contextual ad-delivery technology behind it. The company claims that it is the most advanced system of its kind that has yet been developed. When it comes to advertising, this system helps in accurate targeting and maintains high level of relevance. This technology also has a powerful anti-fraud detection system. It helps ensure that there is no way someone can generate fraudulent impressions or clicks. Customer support is a concern in the advertising industry. But AdBuff has carved a reputation in this section too. Its 97% customer satisfaction rating is worth praise. Support is provided through tickets-based system and the response time is 24 hours. Unmatched Fill Rate: AdBuff claims that it achieves 100% fill rate for its publishers (on CPM/CPC) due to its access to the world’s biggest ad exchanges. It also claims to have the largest advertisers using its network. Its list of advertisers includes DoubleClick, Aol.On, Pulsepoint, and Criteol to name a few. Dedicated Account Managers: This is another unique feature that makes this network different from others. Most other networks offer this service only to its premium account holders. According to AdBuff, these dedicated managers help optimize ad performance and boost their publishers’ revenues. Higher Rates: This company makes a unique claim – they share 90% of the revenue generated from advertisers with their publisher accounts. The team has not explained how they do so. Its rates are industry-leading in most cases and thus allow publishers to monetize their web space in the best possible ways. Don’t Worry About Malicious Content: If you can’t trust an ad network, there is no point in using it to monetize your website. with AdBuff, there are no malicious downloads taking place in the background, no unnecessary pop-ups, and no code injection. The company claims that all its ads are rated G. This ad network can be trusted for its quality and reliability. Advertiser Limits: AdBuff allows only those advertisers to advertise on its network who have a minimum budget of $1,000 per month. This helps make it a lucrative network for publishers. And when you consider that it shares 90% of the revenues, publishers can look forward to massive boost in their revenues compared to many other networks. Considering all these factors, it is worth saying that AdBuff should be the target for every advertiser. CPM-based Model: The network has among the best rates for national advertisers. It is currently working only on the CPM model. Country-level Targeting: AdBuff allows country-level targeting for almost all countries worldwide. Those seeking to target their ads to US will find this network to be the perfect option because most of its inventory comprises of US impressions. Similar to publishers, advertisers also get dedicated account managers to helps maximize their campaigns’ performance. Overall, AdBuff can be considered to be a premium ad network for both advertisers and publishers. It has maintained a balance between offering high rates to publishers and the best rates for advertisers. The network uses advanced technology to ensure effective targeting, relevance and prevention of any fraudulent activities. All these features make it a high-quality network to monetize your website or advertise your brand, product or service. 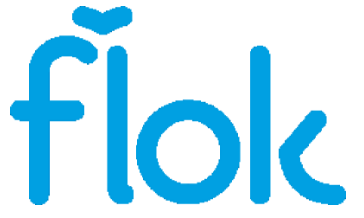 flok: Doing the Hardest Job for Businesses – Bringing Back Customers! I have seen in several digital forums that Adbuff won’t pay you. The people behind it have had several ad networks before that did not pay people.